When you first told me, Fairy Goddess, that you were taking this on, I am pretty sure my first reaction was "you're mad!" So first of all, congratulations on regaining your sanity! But more importantly, congratulations on what you have achieved over the last 18+ months. The fact that there is even just an active site continuing to host robust and insightful discussions after all this time... that it hasn't shrunk away over the community that migrated lost the aura of the Dawkins name is no mean achievement. And that is to the great credit of the staff that you've led all this time. And hopefully now that the responsibility has gone, and you no longer have to be one holding the FUA stick, you can show more people (and remind some who may have forgotten) just how much fun a liberated Fairy can be! Starr! I'm late to the going away party, but I wanted to say Mahalos to you for keeping order around the forum (and teaching me how to post youtube videos). Aloha O'e, Hoku! She's leaving for good, or just as a mod? Is there any reason or is it personal? I wish you the best, whatever it is. What - a party with no music? Get the funk outta here! "...Sky falling, calling. Can you tell me why?..." Topic - Gay marriage should not be legalised in society. Lion IRC wrote: What - a party with no music? Damn! I knew I'd forgotten something. Bugger blast and damnation! I have not been on the forum recently, but on my popping in what do I find but Starr leaving us as Senioer Mod? Starr has done an epic job in sustaining, creating, and managing the community, and I think it is hard to find sufficient words to praise her incredible hard work. I hope to spend my time winding her up now she is not senior mod, and creating loads of lovely reports for the new mods to have to deal with, and hope she will continue to be the vital part fo the forum she has been, in a new capacity as one of us proles! Starr, you truly are a star! Mac_Guffin wrote: She's leaving for good, or just as a mod? I'll think you'll find these questions replied to here. I haven't had the time to look through the whole thread. Yes, well done Starr, this break is very well earned! I hope you enjoy 'coming out' and being a regular for a while. Us Yellowbeards fairies are never more dangerous than when we're dead. Lizard_King wrote: Anyway, thank you for your hard work, Starr, and all the best to you. Sityl wrote: Wow! Starr, thank you so much for the incredible amount of time you've invested to this website! It's as great as it is to day in large part thank to you! I can't imagine it was easy coming to this decision, but I'm sure it's time, you've put a LOT in! Thank you again for doing so much for this community. The FSM is most definitely female.... she told me so. Varangian wrote: "My name is Nuff. I'm a fairy. Fairy Nuff." Mister Agenda wrote: Thanks for all your contributions, starr, I wish you all the best! akigr8 wrote: Thank you for all you have done, you are a Starr. VanYoungman wrote: :hug: Bon Voyage. You were a great asset to all our lives. What do you mean "were"? hackenslash wrote: Seriously, though, this forum is what it is, in large part, because of Starr's dedication. The amount of flak she's taken as senior mod, and all for love of the forum, is nigh on incalculable. hackenslash wrote: Right, Starr, I've done as you asked and said something nice. Now will you sing us a song? virphen wrote: When you first told me, Fairy Goddess, that you were taking this on, I am pretty sure my first reaction was "you're mad!" Awwww....thank you. That's why you are my favourite Space Lizard. AlohaChris wrote: Starr! I'm late to the going away party, but I wanted to say Mahalos to you for keeping order around the forum (and teaching me how to post youtube videos). 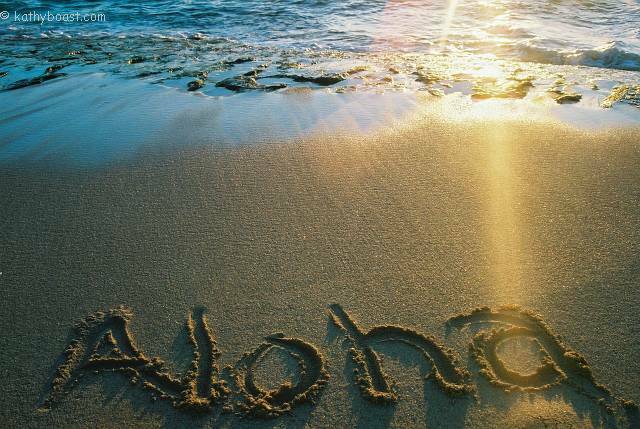 Aloha O'e, Hoku! ... and don't forget that awesome mythmas avatar I made for you last mythmas. Just as a mod. I'll still be hanging about the place making a nuisance of myself. jerome wrote: Bugger blast and damnation! I have not been on the forum recently, but on my popping in what do I find but Starr leaving us as Senioer Mod? Starr has done an epic job in sustaining, creating, and managing the community, and I think it is hard to find sufficient words to praise her incredible hard work. I hope to spend my time winding her up now she is not senior mod, and creating loads of lovely reports for the new mods to have to deal with, and hope she will continue to be the vital part fo the forum she has been, in a new capacity as one of us proles! Made of Stars wrote: Yes, well done Starr, this break is very well earned! I hope you enjoy 'coming out' and being a regular for a while. Thank you... and I'm glad to see you back again Mister! OK... here you are..... and Happy Halloween! Haven't had time to read the whole thread but congratulations on your new job, I'm sure it is well deserved and you will be great. You lay your head down and rest now. You deserve to be an Old Fart. Nah, she needs to go to Thread Killers and show how it can be done without resorting to 'Thread Locked'. Though I have disagreed with some of Starr's decisions in the past, I have always felt that she made the effort to disregard her own inherent biases in order to follow the spirit of the FUA. Tyrannical wrote: Though I have disagreed with some of Starr's decisions in the past, I have always felt that she made the effort to disregard her own inherent biases in order to follow the spirit of the FUA.